NEW YORK (CBSNewYork) — Yelp is trying to ease consumers’ worries about posting a negative review of a business online. CBS2’s Alice Gainer reported Yelp issued a new type of consumer alert of the pages of businesses that have threatened customers with legal action. Last summer, Dr. Nima Dayani, an endodontist, filed a defamation lawsuit against a reviewer after the patient called the doctor “curt” and “dismissive,” said there was a long wait time and gave a three-star review. However, the reviewer also stated the doctor was genuinely interested in finding a cause of the pain. It wasn’t the first time Dayani sued a reviewer. In a statement, Dayani said he readily accepts criticism, but when he sees a review that contains an assertion that he says is not true, he first asks the reviewer to take it down, and if they don’t, then he takes legal action. Dayani’s listing on Yelp is the third to get this kind of consumer alert. A Texas pet sitting service and a Florida moving company also have them. Michelle Douchouquette and her husband were sued when Prestigious Pets in Dallas said the couple violated a non-disparagement clause. Civil rights attorney Normal Siegel said what Yelp is doing is a good thing. “We need to encourage people to speak their mind,” Siegel said. 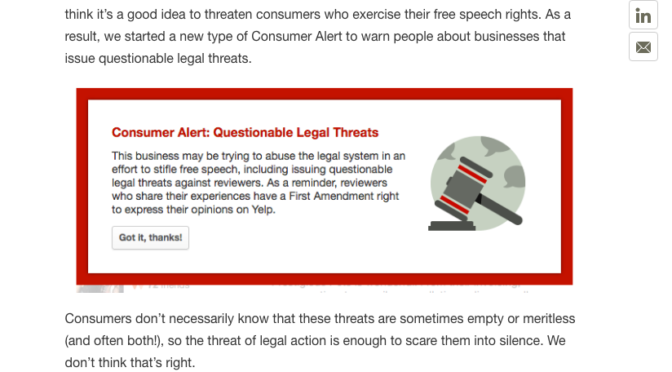 Siegel also said that Yelp should change its wording of the alerts and take out First Amendment. Two bills have been introduced in Congress: the “Right to Yelp Bill,” also known as the Consumer Review Fairness Act, and the Speak Free Act. 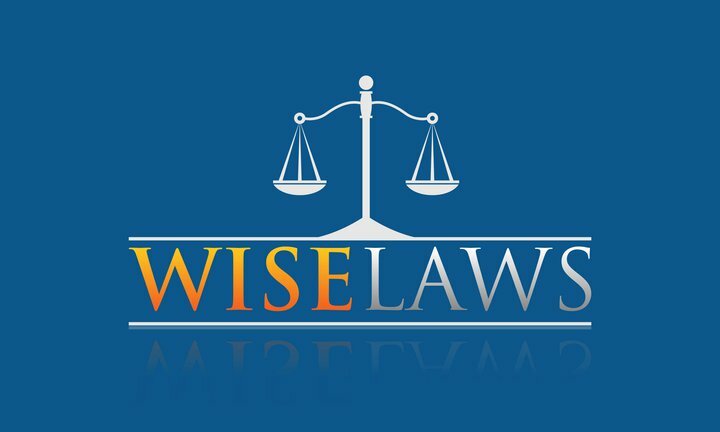 It would prevent businesses from suing over negative reviews.